An informative article in today’s Globe & Mail highlights the plight of Canada’s largest book chain, Chapters/Indigo (formally, Indigo Books & Music Inc.). Unlike in the United States, Chapters/Indigo is already the “last man standing” among bookselling conglomerates. It’s like Barnes & Noble would appear after it ate Borders. I’m with Ms. Reisman in the prediction predicament. In 2009, she guessed that digital book sales would “erode 15 percent of her traditional book business within five years. Now she’s predicting it will be 40 percent.” Only Mike Shatzkin seems to have accurately guesstimated the forward thrust of ebooks. Reisman hedged her digital bet by taking about a 60% stake in the ebook platform Kobo (which is Borders ebook bet as well). 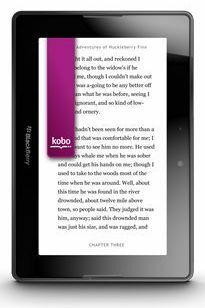 Unfortunately Kobo lost $10-million in its latest quarter and is running far behind Amazon (and perhaps Apple) in the ebook delivery business. I have seen the future of bookselling and it is Shea butter handcream. July 23, 2011: Earlier this evening I went into a large Chapters/Indigo in downtown Vancouver in search of any book by Pulitzer Prize winning author Studs Terkel (any of the several dozen he has authored). His book 1974 classic Working is #17,728 at Amazon. It cannot be purchased from any of this company’s stores in Canada; none of his books can. A clerk assured me that one day Terkel would again be popular. “Look at Catch 22,” he noted. Precisely. If any model is going to work, it’s going to be the Indigo model. Heather Reisman has hired carefully to find people who think they understand what kind of non-book product a booklover would buy. So she’s taking the steps she has to to stay in the book retailing business. And the big U.S. rivals are taking cues from her. You can’t say she’s sitting back and letting the changes roll over her. There’s a lot to be said for staying in the game whatever it takes, and I do admire her energy and smarts.